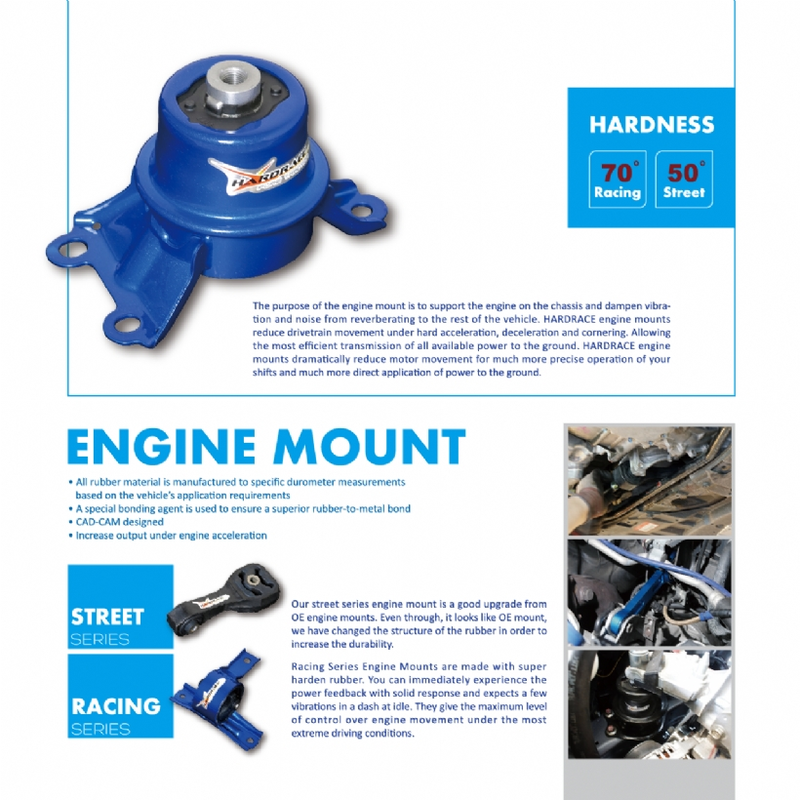 HARDRACE reinforced engine mount made with hardness rubber create more strength than OE rubber mounts, and we provide two types for choice, one is for street racing type, the other is for drifting type. You can immediately experience the power feedback from engine acceleration. Also reduce engine move significantly, and provide the maximum output under engine acceleration.